This information is current as of 5 September 2016 and was taken from the OTS sharepoint site. The application cut-off is the date you have to have your application turned in by, the board date is the date that the board actually meets and reviews applications, and the estimated release date is for the results. The estimated release date frequently changes, so don’t get your heart set on getting results on that date, it’s estimated for a reason. 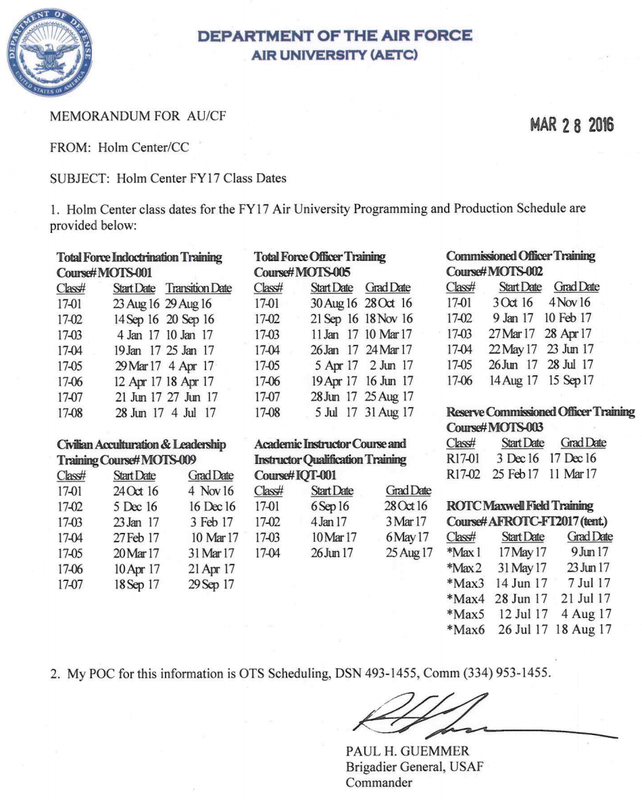 Rather than re-type all of the dates, click the picture to see the dates from the original MFR (Memorandum for Record).